MUST-HAVE SHOES | RAWR BOWS. Truth is, a girl can never have too many shoes. Shoes can literally make any outfit a hundred times better but, they are also more expensive than they should be considering walking barefoot around the city is not really safe. Thus, a girl has to learn how to have a nice shoe collection whilst keeping her bank account away from red numbers. How you do that, you may ask. Simple: invest in good staple shoes that are both cute and comfy, at the end of the day you're going to be walking in them and you don't want your feet to be hurting. I used to be the kind of person who would go to Primark and buy cheap good-looking shoes that wouldn't even last a few months. I thought I was saving money by buying £15 shoes instead of a pair of £50 Nike trainers. Oh, how wrong I was! I'm not talking about going all out and spend hundreds of pounds in Burberry or Jimmy Choo shoes. But, in the long run, it's better to invest in shoes that you really like and you know you will wear, even if they are a bit pricier. Also, comfort is key. If a pair of shoes give you blisters you'll probably end up avoiding them and they will have been a waste of money. Anyway, let's get to the point. 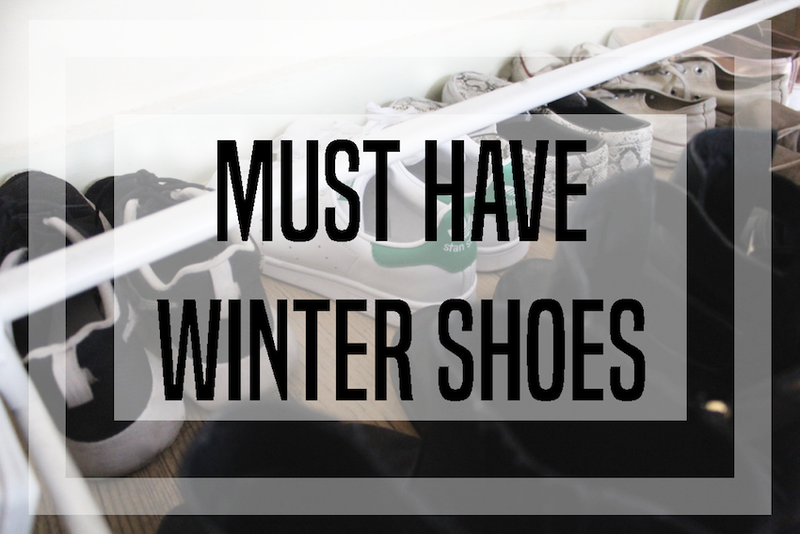 There are some shoes that are a staple in everyone's wardrobe, here are my must-have shoes for this winter. SNEAKERS || To be honest, the sneakers trend is probably my all time favourite trend. I mean, I get to wear comfy shoes whilst looking trendy and chic, what else could I ask for. Whether you're a Nike, or Adidas kind of girl, you'll sure find some that you like out there, they are everywhere! ANKLE BOOTIES || If ankle boots don't scream fall I don't know what does. They are look are more dressy than slip-ons and sneakers but still comfy and really easy to style. Plus, you can get away with wearing them to fancier events! What are your winter must have shoes?